I am truly blessed. But it took me a while to figure that out. A few years ago, I attended Yanik Silver’s Underground Online marketing seminar. Vishen Lakhiani, founder of MindValley.com, was one speaker who had a big impact on me—but not because he offered a breakthrough marketing strategy or business insight. It was because he introduced me to the benefits of daily gratitude. During his talk, Lakhiani encouraged attendees to start a daily gratitude journal. I immediately made a vow to take up the habit. It wasn’t easy. I remember sitting at my kitchen table, suffering from severe writer’s block. I had no idea what to write. He was right. My daily journaling has brought an amazing amount of calm and focus into my life. Without a doubt, it is one of the secrets to my wealth, health, and happiness. I’d like to help you build the same practices in your life, but before I do that, let’s look at why this is so important. First, gratitude keeps you going through tough times. Albert Einstein once wrote, “There are two ways to live your life. One is as thought nothing is a miracle. The other is as though everything is a miracle.” When you recognize your gifts—even in the face of adversity—you know there’s a reason to carry on. Second, gratitude is needed when we feel entitled or start to take our success for granted. Humility is necessary to greatest. When we get caught up in our victories, we lose perspective on what we enjoy in life that is given to us by others. “For years I’ve been advocating the power and pleasure of being grateful. I kept a gratitude journal for a full decade without fail—and urged you all to do the same. Then life got busy. My schedule overwhelmed me. I still opened my journal some nights, but my ritual of writing down five things I was grateful for every day started slipping away. A few years ago, when I came across my journal, I wondered why I no longer felt the joy of simple moments. Since 1996, I had accumulated more wealth, more responsibility, more possessions; everything, it seemed, had grown exponentially—except my happiness. How had I, with all my options and opportunities, become one of those people who never have time to feel delight? I was stretched in so many directions, I wasn’t feeling much of anything. Too busy doing. But the truth is, I was busy in 1996, too. I just made gratitude a daily priority. I went through the day looking for things to be grateful for, and something always showed up. Recently, I lost sight of being grateful for simply having a mountain to climb. Only when I began feeling gratitude for the opportunity to serve did a shift happen. Oprah’s story is one many of us share. And the lesson is clear: That moments of success demand we carry gratitude and humility with us daily if we are to be happy, healthy, and successful. 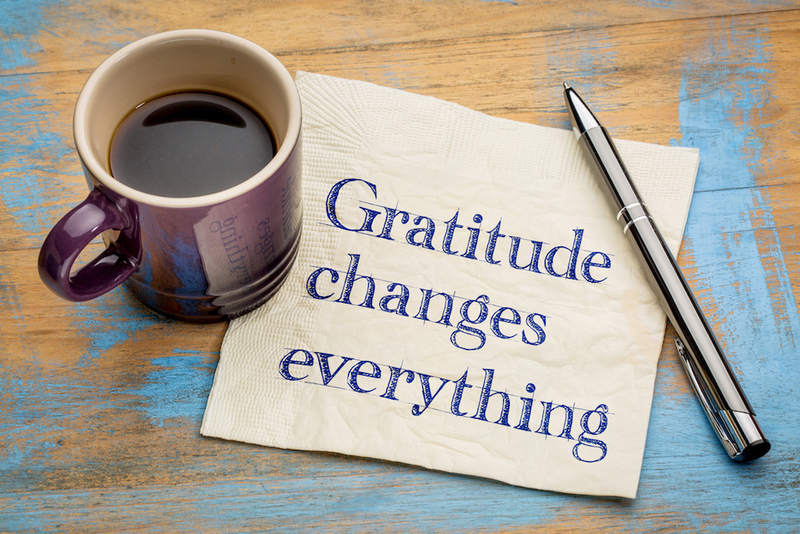 So how do you practice gratitude in a meaningful way every single day? There are a few ways, actually. The method you choose depends on what works well for you personally and how much time you have. The key is making the time. Take Vishen Lakhiani’s approach and spend 5-10 minutes every morning writing down the things you’re thankful for that day. It may take a while to get started (like it did for me), but once you build the habit, the gratitude will come easily. My friend, UJ Ramadas, actually created a template for this that he calls the “5-Minute Journal.” It consists of two basic parts. First, write a list of five things you’re grateful for. Second, call out two or three things that would make each day great. This is similar to the Early to Rise Gratitude Journal, where I ask readers to give thanks for “one big thing” in their lives, then acknowledge one or two people they truly appreciate. The best way to close a day of gratitude journaling is to come back in the evening and write down your five big daily achievements—an idea I got from Dan Sullivan, the creator of Strategic Coach. I learned about this at a recent event called Genius Network, and I love the structure of it. It’s broken down into three three-minute sections. For the first three minutes, think of three things you’re grateful for. Tony suggests that one of these be very simple—like how beautiful the sunset was last night or the great night’s sleep you just got. During the next three minutes, focus on creating gratitude by imagining an inner presence that can heal and solve any obstacles in your life. Imagine what it would feel like to complete these tasks, and “see it as though it’s already been done,” he said. I truly am blessed—and so are you. You should never forget it. To ensure you don’t, use one (or both) of these rituals to remind yourself of all of life’s great blessings. It will reduce your blood pressure, brighten your mood, make you more patient and positive with other people, and will bring a smile to your face no matter how cloudy the day. I think you’ll agree that we are both living lives of luck and prosperity. It’s time to give thanks. When you give thanks, owning your gifts and committing yourself to sharing them with others, you make your own success. But to practice true gratitude, you need routines and structure. 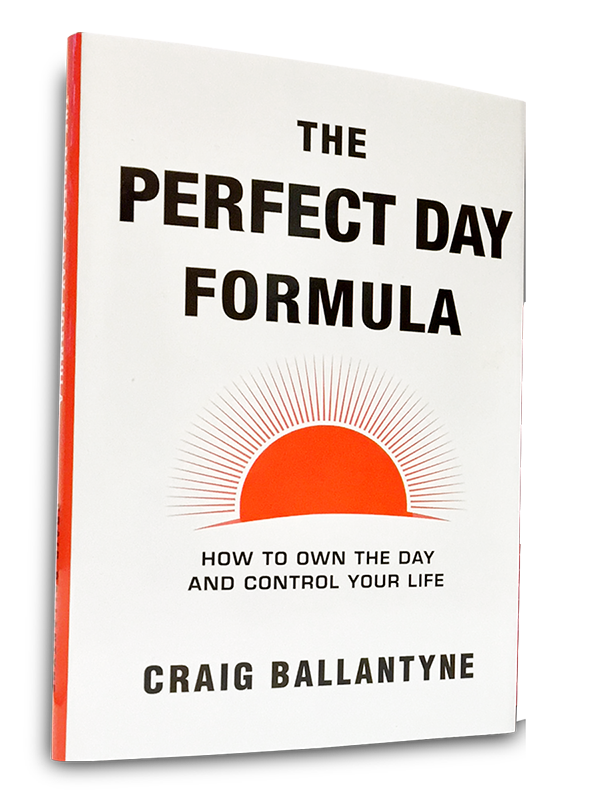 That’s where my book, “The Perfect Day Formula,” can help. I’m giving it away for FREE, so all you have to do is click here and start your journey to better routines, consistent thanks, and a lifetime of Perfect Days.